Twitterfox is an add-on plugins for Mozilla firefox, which has the capabilities to integrate twitter account via Firefox web browsers. 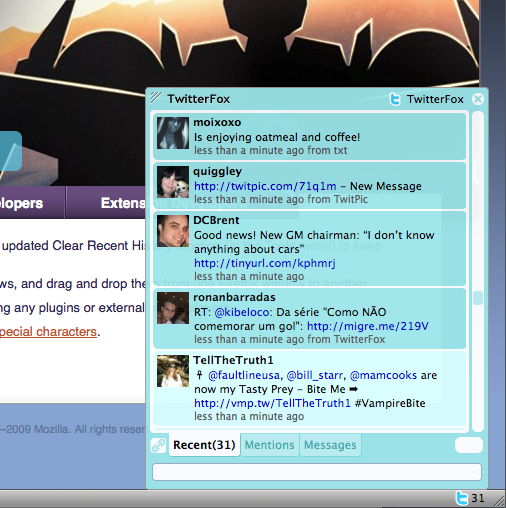 The idea of Twitterfox is very simple, its simply a program that has ability to know your twitter status and everything. The extension adds a tiny icon on the status bar that notifies you when your friends update their status. Also it has a small text input field were you can update your status and reply to your recent messages.